Although not set in stone, it is looking like another big Memorial Day weekend for the UFC and it’s fans. 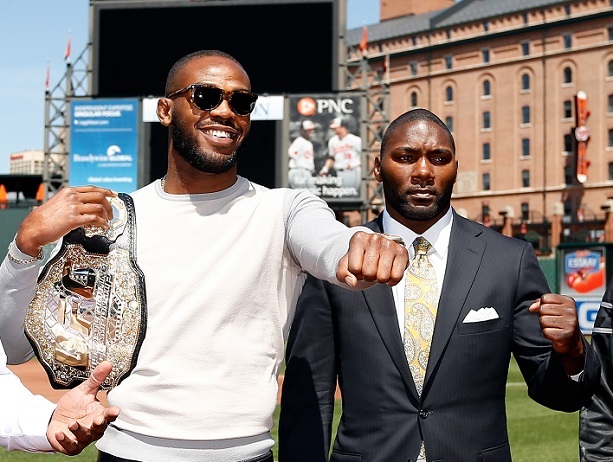 UFC president Dana White was on the Jim Rome show and said that the UFC light heavyweight title fight between Jon Jones and Anthony Johnson will be in May, just no set date yet. “”I don’t have the exact date, but May.” White said. Another title fight that is potentially set for May is between featherweight champion Jose Aldo and the ever charismatic Conor McGregor. If both of these fights are confirmed for UFC 187, the fans would be in for a treat having two of the potentially best pound-for-pound fighters and champions in MMA defend their crowns. Jones (22-1) has basically wiped out the entire light heavyweight division with not many left in his path. If Jones gets through Anthony Johnson, the only other possible opponents would be Phil Davis (if he strings some wins) or Alexander Gustafsson, if he could get some wins together as well. The UFC has always put together big fight cards for Memorial Day weekend, and they have held co-main event title fights in one card as well, so the odds of these two matches on UFC 187 would seem very favorable.